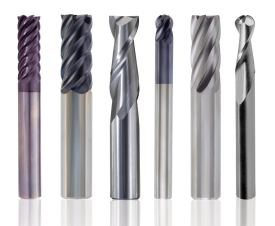 When only high-performance end mills will suffice, industrial companies in Dallas, Kansas City, Fort Worth, Wichita, and other cities in the Midwest should know the best place to turn to is Wm. F. Hurst Co., LLC. We offer an unmatched selection of solid carbide and high-speed steel end mills from several renowned manufacturers, and we’re confident you can find exactly what you need for your specific application among our extensive selection. For 50 years, Wm F Hurst Co. has supplied exceptionally manufactured industrial supplies at competitive prices to companies across a wide range of industries, including automotive, aerospace, and agricultural. Our sales associates have intricate knowledge about all of the products we sell and an understanding of industrial applications for many different operations, and we’re capable of making recommendations on products that can help you not only improve processes but also reduce costs. Additionally, we offer a wide range of other cutting tools, as well as an assortment of quality power tools, abrasives, metalworking fluids, and other industrial supplies. 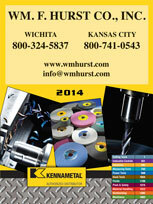 Contact Wm F Hurst Co. today if you would like to purchase end mills or any of our other industrial supplies for your business in Kansas City, Wichita, Dallas, Fort Worth, Joplin, Springfield, or another city in the Midwest.